Want to know whats been going on with livewire in the last 3 weeks since not much livewire content is on My channel anymore?? Well This will be kind of a Story of Such...;-) Lots of the efforts I was putting forth on Cerealmarshmallows is not helping on the Livewireenergychews channel!! I have been working with Livewire Energy lately on their YouTube/Social Media Accounts. They have really been committed to making new content and on a regular basis or I would not even Mess with it to be quite Honest. As it is though we have seen gains in the 1000% Plus range depending on the metric being Measured! We are talking HUGE Growth!!! Not only the Willingness to Commit to making the content its the willingness to put the Time and Effort into Regular updates AND Learning About a Dozen Website Platforms as we go. I can say Almost every night Tony and I are figuring and Working on sites, Pages and programs that are adding value to Livewire.... This is working and we are seeing results!! The Google Hangouts on Air are cool... But we are also able to use Private Hangouts and Screen shares to get work done fast. Out of the many deals out there a Few have BOOOMED here are some things from the past few weeks that as you will notice have gotten VERY Viral and in the Long ruin with Steady Addition to this method of Marketing we are building a Library of Content that stands and will bring people in over time. This makes it fairly obvious SOmething is going on we dont know about yet! Yup that's just how it works and in more ways than 1. And we just had a HUGE success!!! 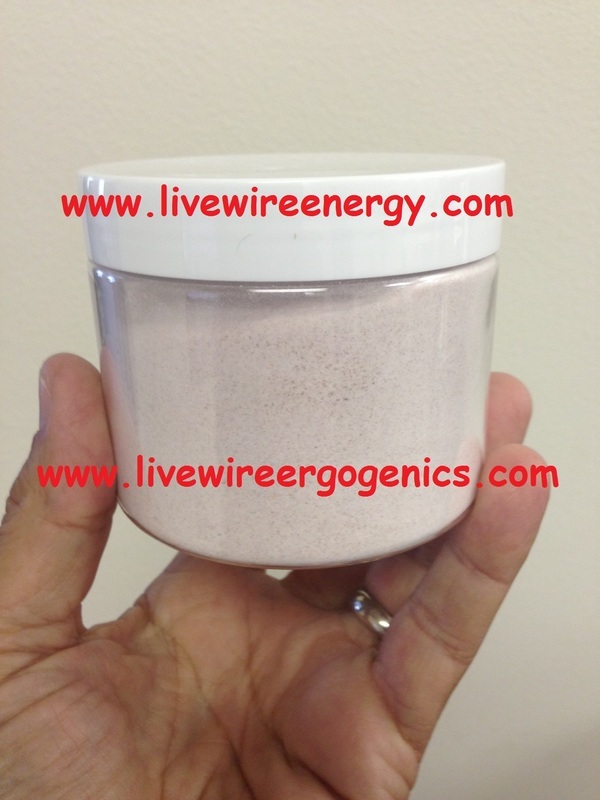 SO the Following will be about the Recent Livewire Energy FREE SAMPLE deal.... Talk about a Success... WOW We could not have ever hoped for anything better! This was Awesome and I will break it down a bit here! Well a few days in it kind of just schleped around waiting I guess but as people started watching the video it happened slowly and sharing the Livewire link everywhere.. Then it happened.... One of the Subscribers Shared the YouTube Video Deal on a Deal Site and KERBLAM!!!!!!!!! Like I said A Subscriber shared it on a deals site them another then another... The Virility of this Just went sky High! By 6:15 That night I was receiving messages from Subscribers that the code did NOT work for them. I called Tony and Sure enough we had sold the remaining 230 in just few hours... We got in touch with Bill and Got the approval to do 1000 more and they were gone in less than a Hour!! From about 6:30 till 11:30 California time (9:30 to 2:30 Tony's time) we babysat that deal Tony almost could Not add coupons fast enough! As of right now this morning we stand at WELL OVER 6000 Free Samples that were Ordered! Over 20 Times the amount originally planned... and Due to the Success of it instead of just ditching such a successful campaign Bill has agreed to leave the deal up and just charge a small shipping fee! This is awesome and we have actually started getting Orders with the Shipping paid its just that good of a deal!! It does and although it is NOT always this fast we are Building a HUGE Amount of Content that will Drive Traffic to the Websites and Social pages and also at the same time it will create backlinks for the websites increasing relevance every time! 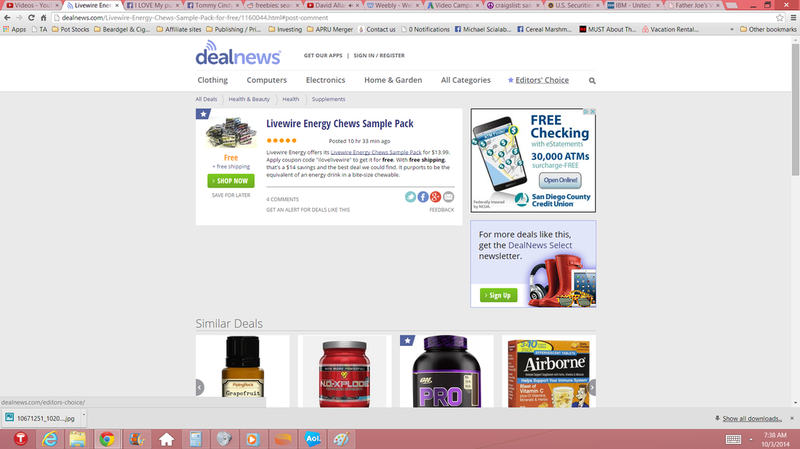 I am VERY Excited to be working on the deals with Livewire and Seriously they are Putting in the work. I will Bet I spend At least 20 Hours a week on the phone going over the Marketing and Videos and LVVV Is committed to making this work for them! This video about the Livestream got over 16,000 hits so far! Make sure and ADD Livewire on YouTube New content Weekly! Make sure and ADD Livewire on Facebook they have 3 Company pages and a few more that are not used much these are the main 3 in order of post activity..
hemp summit... this is going to be a HUGE Opportunity!!! Really this is Awesome!! This is for the Supply Side West in Las Vegas Next week and there will most every leader and follower in the industry there and we will be there right in between them taking Names and Numbers and Trying To manufacture Products for people in any way shape or form we can!! !